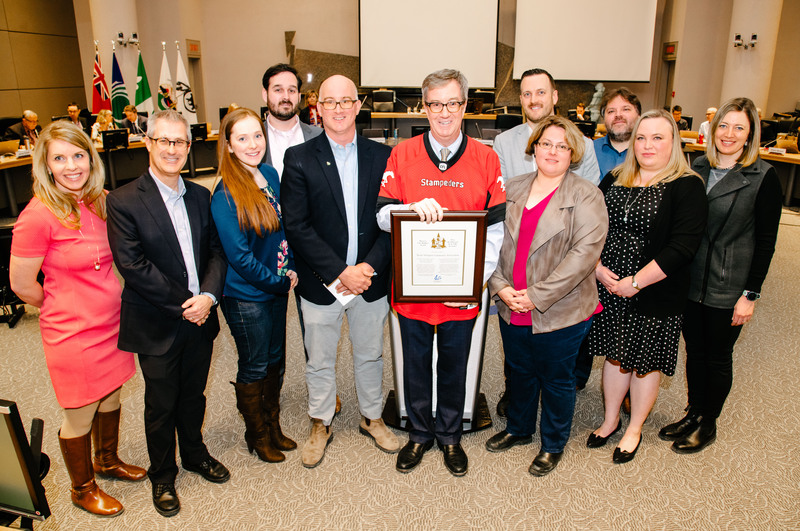 Mayor Jim Watson and Knoxdale-Merivale Councillor Keith Egli presented the Mayor’s City Builder Award to representatives of the Trend Arlington Community Association at City Council today, in recognition of their work and support for the community following a tornado on September 21, 2018. One of six tornadoes in the region that day touched down in the Trend Arlington community, causing a significant amount of damage in Arlington Woods. City inspectors issued more than 100 unsafe building notices in the area following the tornado. The community association quickly became a recovery and information hub for residents. The association helped lead more than 100 residents in cleaning up properties and worked with the City to coordinate volunteer efforts. It provided regular updates to residents via email and social media. It coordinated counselling and other services and provided a support system for the entire community. The association organized a memorial ceremony for its residents and continues to work with the City on recovery, rebuilding and replanting efforts.